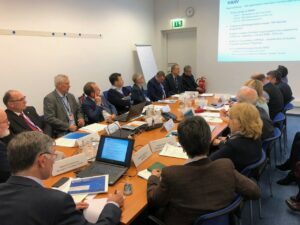 The IV General Assembly of the Regional Network for Education and Training in Nuclear Technology (STAR-NET) was held on November 19-23, 2018 in Vienna, Austria with support of the International Atomic Energy Agency (IAEA). 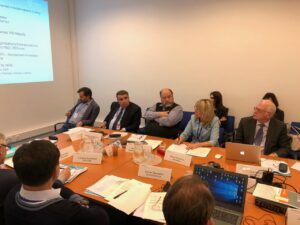 Representatives of ten member-universities from Armenia, Azerbaijan, Belarus, Kazakhstan, Poland, Russia and Ukraine took part in the event dedicated to summarizing the results of the network’s three years of work and developing plans for the next year. The Deputy Director General of the IAEA, the Head of the Department of Nuclear Energy, Mikhail Chudakov welcome participants and noted the role of university educational programs in the long-term development of qualified professionals for the nuclear industry as well as the STAR-NET achievements in regional cooperation aimed to developing coherent approaches in nuclear education and truthful cooperation with the IAEA. 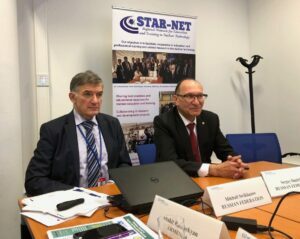 Speaking at the assembly President of STAR-NET, Rector of the National Research Nuclear University MEPhI Mikhail Strikhanov noted that in a relatively short period, the STAR-NET reached the level of similar networks on nuclear education in other regions of the world. The President of STAR-NET highly appreciated what has been done and identified new tasks, the solution of which is necessary for creating a common educational space within the network framework. The representative of the IAEA Nuclear Knowledge Management section Oswald Glockler presented the IAEA initiatives in the field of nuclear education. In particular, he presented the successful initiatives within the frameworks of the IAEA Nuclear Management Academy (INMA) and University Programme Peer Review Assessment in Nuclear Engineering (UPPRA). He noted that the STAR-NET network effectively cooperates with the IAEA, complementing existing international initiatives and focusing on education and training related to the safe use of nuclear technologies for sustainable development and work with schoolchildren. Representatives of member universities noted that the Learning management System STAR-NET LMS successfully deployed and put into operation with the support of the IAEA plays an important role in organizing cooperation and implementing common educational tasks. The platform is supported and managed by the STAR-NET in cooperation with the IAEA educational platform CLP4NET and currently unites more than 500 users. Participants presented the experience gained by their universities in education and training of specialists for the nuclear industry. Many universities have established cooperation with leading enterprises supporting the educational activities and research; the international student and teacher exchange; continuous practice on preparing training manuals in the field of nuclear technology. After discussing the proposals submitted by the member-universities the participants approved a work plan for 2019, which includes such activities as: a summer school on engineering and computer modeling, advanced training courses based on the research nuclear reactor IPT-2000, internships for students in various engineering and physical programs, development of network Master Program “Nuclear Technologies and Physics of Nuclear Power Plants”, organization of a network Internet course on topical issues of international cooperation in the field of nuclear energy, scientific conferences and others. Particular attention was paid to the need to develop joint research projects involving young employees and graduate students. On November 21, the participants attended a meeting of representatives of national and regional nuclear education networks in Asia, Europe and America: ENEN, ANENT, AFRANEST, LANENT, BNEN, NTEC, UNENE and STAR-NET. 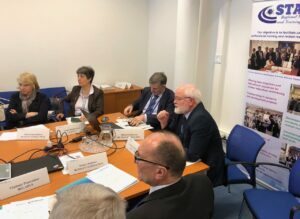 The importance of cooperation between educational networks and the coordinating role of the IAEA in the development of nuclear education were noted. For the practical implementation of the agreements reached, representatives of the regional networks developed the action plan for joint activities in 2019.